"He was a beautiful boy. I call him my cheesy cheese baby because he's always smiling." 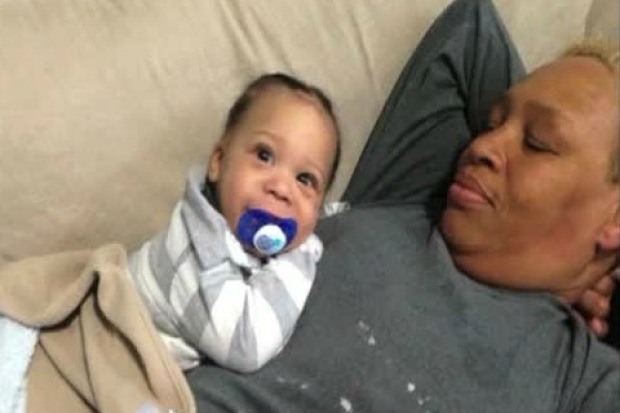 Debra Morris-Covington is Kenai's grandmother and took care of him several days each month. When she learned he'd been hurt, she rushed to Boston Medical Center, where his father, Dave Whyte was waiting. "I said what happened, and he said, 'I don't know, I don't know.' You don't know what happened? What do you mean you don't know what happened?" Morris-Covington says her son was at work and Kenai was at home with his stepmother. She says no one has explained what happened to the boy. "I never thought I'd be burying my grandson. Never ever did I think I'd have to bury my grandson. Never." Morris-Covington and her husband were allowed a few hours with Kenai before he was taken off life support. She said though it looked like his skin had been raked by fingernails, it wasn't obvious how he'd been hurt. "He had a little bump on his head. He had scratches on him, a few bruises..."
The medical examiner has not yet ruled on cause of death. The Suffolk County District Attorney's Office has characterized Kenai's injuries as traumatic, but no one has been charged. The Department of Children and Families confirms that it had an open case with the family. Massachusetts Gov. Charlie Baker told reporters that just days before Kenai was rushed to the hospital, a DCF social worker spoke to a "care provider" for Kenai who told them the boy was well-fed, clean and had no behavioral issues. Baker and DCF will not identify that care provider. "I don't have an update on that particular question," Baker said. "He was failed," Morris-Covington said. "The system, the courts, the governor, the commissioner -they all failed him." Morris-Covington claims that over the years she has complained to DCF multiple times that Kenai wasn't being properly cared for. She says when nothing became of one of her complaints, she called the DCF's Office of the Ombudsman, which mediates grievances. "I asked him, what are you waiting for something to happen to my grandkids in order for you to do something and he said, unfortunately, yes, sometimes that has to happen. And that's what sticks in my mind right now." A DCF spokesperson told us she can't comment on any complaints that may or may not have been made, citing the criminal investigation, but DCF has launched an internal investigation as well. According to documents, a neglect complaint was filed in 2013 when Kenai was 6 months old. A DCF social worker wrote in a letter filed with the court that an investigation did find the baby was being neglected by Dave Whyte and his biological mother Ashley Young. Morris-Covington also claims she filed a 51A neglect report with DCF claiming that Whyte and Kenai's stepmother were drinking too much and Kenai was in harm's way. "He didn't get those scratches on his body by himself," she said. Kenai's stepmother declined to comment when necn called. Despite repeated attempts, necn has been unable to reach Dave Whyte. Morris-Covington wants the police investigation to be thorough, but also wants to make sure that DCF - which has been under fire after several children in their care have died in the last year - is held accountable. "I don't want my grandson's death to be gone and lost in the shuffle," she said. "Just another child to forget about." In the wake of recent child deaths, DCF has overhauled its training and intake polices. In March, the agency will implement a more aggressive way to supervise social workers and their cases.